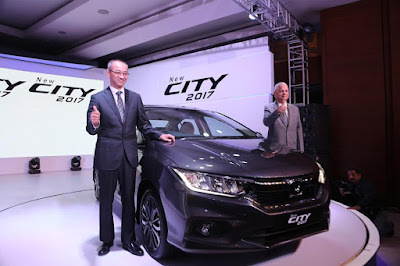 Honda City car comes with new Stylish Design, Advanced High technology features and Enhanced Safety and introduction of new flagship City ZX grade, Honda Cars India Ltd. (HCIL), a leading manufacturer of passenger cars in India, today introduced the New Honda City 2017 in New Delhi, 14th February 2017. Honda City 2017 car is built with the Concept of “Advanced, Energetic and Smart”, it will delight the loyal customer with its wide range of high-technology exterior and interior features, the one who enters the car will enjoy its pleasure around. Honda City 2017 has advanced integrated LED DRL, LED fog lamps, inline LED headlamps, new 16-inch alloy wheels with wider tyres and best-in-class interior features. If you are one of them who would like to go with the latest technology's car then this is the one to select. Honda City 2017 model has an advanced touchscreen infotainment system, called the Digipad. “The Honda City has been our most successful model in the country. It has brought joy to over 6.5 lakh customers across the country and has been India’s most successful sedan since its launch in 1998. It has also been the industry benchmark for quality and has been ranked No. 1 by the JD Power Initial Quality Study 14 times since its inception in the Indian market.” Mr. Yoichiro Ueno, President and CEO, Honda Cars India Ltd. said. New diamond-cut and two-tone alloy wheel design for both 15 and 16 inch wheels. Advanced 17.7 cm touchscreen infotainment system, called the Digipad. A sporty, wide-opening bumper design and a new signature front chrome grille with intricate design connecting the two headlights. Satellite-linked navigation, voice recognition, Bluetooth telephony, audio streaming. The 1.5 GB internal memory, 2 USB-in slots, 2 microSD card slots and 1 HDMI-in slot. Mirror Link support for smart phone connectivity. Chrome plating on steering switches and chrome plated knobs for rear-aircon vent. Tilt and telescopic steering adjustment. Fully auto-dimming inside rear-view mirror. New LED interior cabin lights. Premium upholstery with dual-tone beige & black trims. The LED package, including the integrated LED DRL. The inline LED headlampsLED fog lamps. 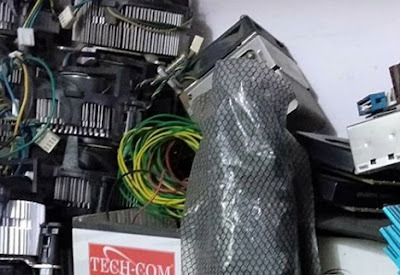 The LED license plate lamps. The trunk lid spoiler with LED. You may visit Honda India official website or its nearest office for more detail.